If you’ve been in the industry for any length of time, I’m sure you’ve heard about the obstacles, risks and opportunities associated with an in-dealership rental operation. Not only can it create a profitable and convenient service for existing customers with little or no increase in fixed operating costs, but a rental operation also can provide a steady supply of quality cars for your used-car department. Most manufacturers give dealers preferential access to vehicles and special programs to help build their rental fleets. Some programs are comprehensive — offering uniforms, training, signs, forms, inventory financing, policies and procedures — while others offer a brand name, some cursory training and endorsements of software providers and insurance companies. Whatever your manufacturer offers, take advantage of it. There is no point in creating a program from scratch if you can adopt an existing and proven program. It is, however, important that you meet with your manufacturer or distributor rep to go over his or her company’s program. Just make sure to ask for a copy of the program’s operating manual before you invite the rep to lunch. A careful review will give you dozens of questions to ask, and the answers will trigger even more questions. By the time you’re done, chances are that you will know more about the program than the rep.
Now, just because your manufacturer offers a rental program doesn’t mean it’s the right program for you. Some programs may be too limited, particularly for small-town dealers. Do you see 12- and 15-passenger vans as key components in your fleet? How about conventional 20-foot trucks or utility trailers? If your manufacturer only allows “own-brand” vehicles in the fleet, the program may be too restrictive for you. You also have to figure out whether you intend to rent used vehicles. Some manufacturer programs only allow new vehicles in the fleet. There are other considerations you need to make. For instance, will there be a great deal of seasonality in your needs? Do you see yourself adding a good number of vehicles to meet a short-vacation rental market? Or do you see yourself keeping some vehicles in the fleet for extended periods, perhaps as long as three or four years? Some programs have strict limits on minimum and maximum time in fleet. This may prevent you from adjusting your fleet size as quickly as you might like. Major national rental companies have the ability to move their fleet around to meet seasonal demand in different regions; you won’t have that flexibility. One thing you really need to discuss with the manufacturer’s rep is the issue of selling a collision damage waiver. Along with fuel sales, this revenue source is a major factor in the profitability of many rental operations. Some manufacturers are indifferent while others simply won’t allow such sales. Regardless of their stance, you need to understand the rules before you select a program. Dealers also should ask about insurance programs. Are you required to insure your fleet through a designated insurance company? What’s the typical cost for such coverage? Most manufacturers feel that providing a rental program is important, but some of them charge well above the market rate for coverage. Some policies may even protect the manufacturer more than they do you. Again, understand the rules before you sign on to the program. If your OEM’s program hasn’t been disqualified by its limitations, ask the rep for a list of dealers who have dropped out of the program and call them. You can learn more from them than from dealers who are still in the program. And when you call, make sure to find out how long they participated, what were the hidden costs and, most importantly, why they dropped out. Was it market conditions or program restrictions? Was it a lack of preparation? In a perfect world, it could be because of something that doesn’t apply to you — like lack of time or capital. Remember, you want a manufacturer’s program that gives you the flexibility to adjust your fleet to your market. A one-size-fits-all program will not suit every dealership. And if your manufacturer doesn’t offer or endorse a rental program, or their requirements are prohibitive, consider another rental company. You generally aren’t required to use your manufacturer’s program, so seek out local, regional or national rental companies. Chances are there is an independent rental operator near you who might be thrilled to add a location at your dealership, or, even better, close up his current location and move into your dealership, either as a tenant or a partner. Whether you realize it or not, your dealership is already paying for rentals. Think about all of those customer-pay repair orders that sometimes take several days or longer and require rentals. You call to arrange the rental, issue a purchase order, receive the invoice, cut a check, and then wait to get paid, perhaps as long as a month or two. Warranty campaigns also can generate substantial demand for rentals, and for all your efforts in arranging and coordinating these rentals, you could end up with little or no profit. Pull your accounts payable files on the rental companies you use and add up the total number of rentals and your payments for the past six months. From those figures, calculate the monthly average dollar amount you spent, the average length of your rentals in days, and the average dollar amount of each rental. These figures will give you an estimate of the guaranteed expenses and revenue that your dealership is already supporting. Your revenue will be much greater than the figures you calculated once your operation is established, as it will likely attract vacation rentals and other opportunities that are completely unrelated to your service department. You will also pick up rentals because of the convenience that on-site rentals offer. Some dealers offer short-term rentals for as little as two to four hours. For instance, a service customer may choose to grab a rental to run some errands rather than wait in your lounge. These “easy” rentals are booked without much advertising or effort and can reap double to triple the amount you are already paying. Sites like Google Maps can chart the locations of rental operations near your dealership, so use the tool to see how your location compares to your potential competitors. Are you easier to find? Are you on a major commuting route? Most rental operators choose small, inexpensive locations that are off major travel routes. Chances are your dealership will have the advantage, especially since it’s highly likely you are better known in your community. Call a same-brand dealer who has an active rental operation that is not in your immediate market and invite his or her rental manager to lunch. Bring a list of questions and a pen and paper. Ask him about the size of his fleet, his average daily rental rate and fleet composition by model. How seasonal is demand? What are his hours of operation? What rental software is he using? How much is he paying for the software? Does he recommend a particular pay plan for his managers? Is there a particular body shop that he recommends? (Yes, fleet cars do get hurt.) Who insures his fleet, and how much does that cost? How does he advertise? If you spring for lunch, he may share a monthly report filled with statistics. Buy him a glass of wine and he might offer you a stack of reports, copies of his internal policies and his pricing guidelines. Hey, it’s no skin off his nose, especially since you aren’t a competitor. Remember, running a rental operation will be a lot easier if you follow the blueprint of an established and successful operation. There are several questions you need to ask when evaluating your location; first and foremost, where will you house your rental fleet? Additionally, is there a great place for new signs? Where will you put the rental computer, printer and other supplies? How much renovation will be required? How far is it to the nearest airport? Does the airport offer rental service? Many small airports don’t. 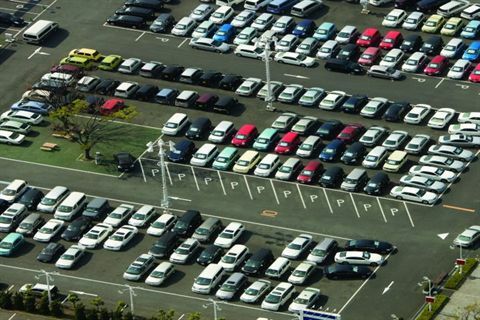 In fact, some rental operators may leave vehicles at the airport. When a customer arrives, they can drive over, sign the paperwork and drive back to the dealership. Perhaps the single biggest determinant of whether you can build a successful rental operation is your staff — particularly your management team. Success will require the active participation and support of several department managers. Your new-car manager can use your fleet to help pull customers off the fence. But remember, whether the costs are covered by the new-car department or billed into the sale, your rentals aren’t free. Your used-car fleet manager will be one of your best customers for vehicles coming out of your rental fleet. He should be willing to pay top dollar for your vehicles because he can buy with confidence, especially since he’ll know the full history of every vehicle. Almost every vehicle that comes out of your fleet will qualify as a certified used vehicle. But the manager must understand that he will need to pay fair market values for your vehicles. And unless he’s prepared to share the used-vehicle gross with the rental department, your cars will leave the fleet on your schedule, not his. Your service manager will be a key player in your operation as well, as your fleet will be a frequent customer of his or her department. Vehicles coming into the fleet can’t be delayed while they are being prepared for use. When your fleet needs maintenance, your service manager needs to understand that your vehicles won’t wait. A rental vehicle that’s down for a single day of maintenance could cost you a week’s worth of rental fees. And because maintenance expenses can be a major cost of operating a rental fleet, your manager may have to consider a discounted labor rate — just as he would for any major fleet customer. Many dealerships will find that there is a place for a rental fleet in their operations. Some dealers in small markets will find that a fleet of as many as four to five vehicles makes sense. Other dealers will find that the rental opportunity is already there, as the demand passing through their dealerships will support a dozen or more vehicles. My modest-sized dealership developed a fleet of more than 40 vehicles in less than two years. Whatever the size of your dealership, a rental fleet represents an opportunity you can’t ignore.